Artistic Adventures: Finally - My "Style"
Every successful artist has a "style". An identity that is communicated through the stroke of the brush, or the way they process their photos. Ansel Adams was known for his black/white images of Yosemite National Park. Monet, Renoir, Van Gogh are known as masters of Impressionism. Even within that you can easily tell the difference between a Monet and a Van Gogh painting; As Van Gogh is known for his use of more distinctive broken color. In the business world, we call this "Branding". Each company will have a logo and each product will have a "Brand". Nike has the "Swoosh". Apple has an apple with a bite taken out of it. Fashion Houses like Louis Vuitton, Chanel, Gucci, Fendi all have distinctive logos that are used on their products and are easily recognizable to their target customers. Branding is usually implemented on a global scale so there is a consistent impression and perception of the company and its products from one country to another. In the Art world, each artist's "branding" is his/her unique way of representing their subject matter. In an earlier blog, I wrote about artists copying other artists but employing each individual's style. Artists Inspiring Artists You will see how Liechtenstien copied Van Gogh's Bedroom at Arles. A sculpture by Tobias Stengel is inspired from a wood block print by Katsukisha Hokusai. This is very common. Even Picasso once said "Good artists copy, great artists steal". The point is - a good artist can give you an almost exact reproduction of Van Gogh's Starry Night; or Monet's Lillies. A great artists will re-interpret Van Gogh's Starry Night in his/her own way; thus giving the "starry night" a new life, a new vision and maybe appeal to a new audience. This is one way in which the "Masters" continue to inspire generations of artists. In trying to figure out my "style"; I experimented across materials, including textiles. I referred to and made a list of what I love when I view paintings or work from my favorite artists. I also thought about those things that give me a sense of joy when I look at them - and why. I don't think it would be unusual for my style to evolve in some way - however; I feel I have arrived at the crux of my inspirations. Combining passion for travel and adventure with Art; I seek to create expressionistic landscape compositions that capture the spirit of a place, a time, a memory, or an experience. My goal is to create paintings that impart emotions unique to each person’s soul; whether it is excitement, desire, inspiration, peace or a sense of adventure. 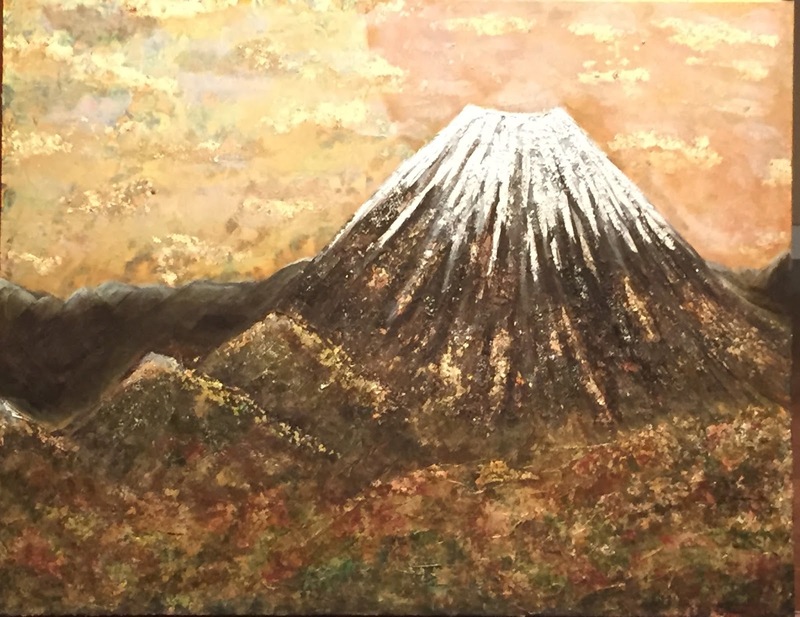 I integrate earthen materials such as gold, silver, and copper across traditional and contemporary mediums, materials, textures and techniques that blend seamlessly together. Although we collectively represent a human race, each of us brings our own unique set of experiences as individuals. Therefore, the collector is always at the center of my paintings not as an observer, but as a participant. I hope you will stay tuned for more! (With) Peace... (In) ART... (To the) Soul.